Every woman who is lucky enough to experience a pregnancy will have unique experiences; however, even though pregnancy is natural, there is still immense pressure on women to have perfect pregnancies. We can thank some of our favorite celebrities for shedding a light on pregnancy issues of all kinds, opening up conversations and fostering education about what pregnancy can mean for a woman. Take some advice from these lusious mamas! 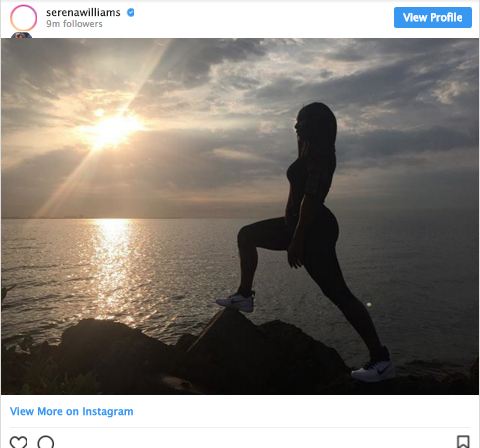 Serena Williams is a champion – but even the strongest ladies aren’t immune to pregnancy related issues. Williams recently opened up about living with postpartum emotions after the birth of her child. She also dealt with many scary health issues surrounding the birth of her baby. While postpartum emotions or depression isn’t easy, it’s normal, and it’s okay to speak openly about it and reach out for help. We always love how Chrissy Teigen keeps it real, and she certainly has when it comes to her two pregnancies. Chrissy was blessed with two babies due to IVF, which is a huge triumph, as many women suffer silently through fertility issues. As a supermodel, she also feels the immense pressure women face to get their bodies back in shape right after birth. However, Chrissy openly talks about and shows off the way pregnancy has changed her body, and is proud of it! She’s more concerned about enjoying her babies than she is about trying to change her body. We think that’s an awesome message to send to all mothers! The famous Kardashian sister is known for an awesome body, but she definitely received a lot of criticism for weight gain during pregnancy. She also dealt with health issues that made pregnancy dangerous for her, which is why her and Kayne West chose a gestational carrier for their third time around. The beautiful actress Anne Hathaway wasn’t immune to body shaming in her career, but she definitely took a stand when it came to a woman’s body after pregnancy. Last but not least, we have some solid advice from the beautiful Kristen Bell, who wants women to remember the power of what it is to have a baby. What is the best pregnancy advice or story you’ve heard that has inspired you? For more celebrity lifestyle and style tips, follow us on Facebook, Twitter, and Pinterest.